There are few things I love more than organization tools! Yes, I am the girl that can spend hours reorganizing closets and pantries – and be completely happy doing it! That is why our next featured company – Clever Container – has been one of my favorites since the moment I discovered it! 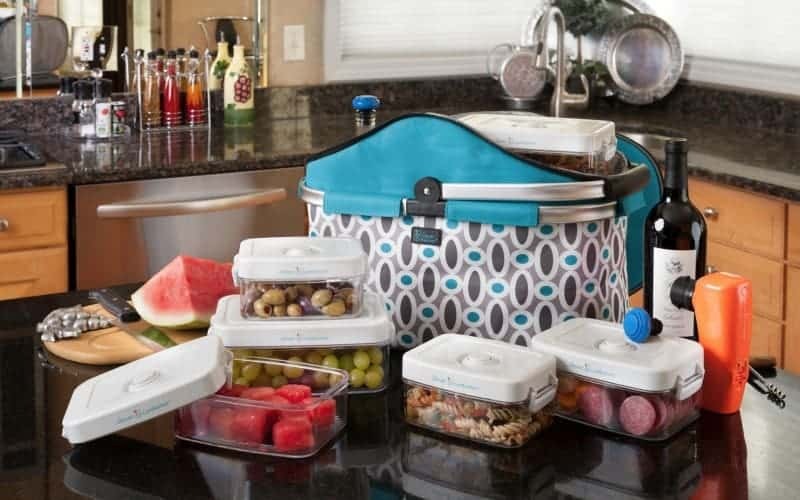 Clever Container offers a full line of products to help you get every aspect of your life organized – even if it isn’t your absolute favorite thing to do! Independent Clever Container Consultant Julie Brindamour sent me in one of her favorite products for the Christmas in July Gift Guide. The Clever Container Clever Shopper is an eco-friendly shopping bag that lets you easily pack up all of your groceries without having to use a paper or plastic bag that ends up in a landfill! The Clever Shopper is super light weight but durable and folds up perfectly so you can keep it in your car at all times for when you are out and about shopping. 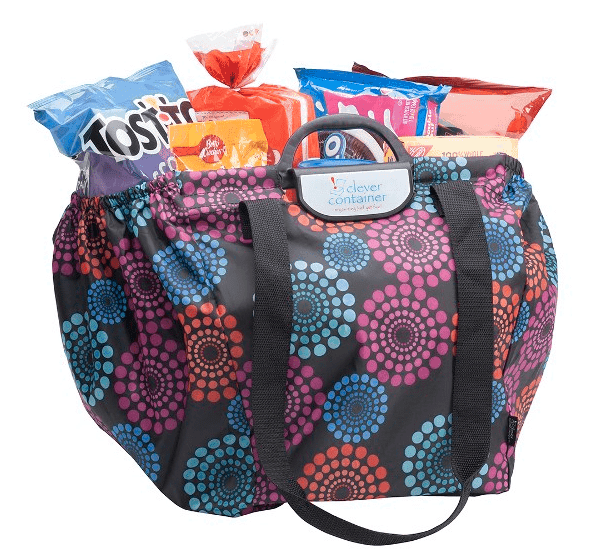 It comes in several fun colors and can hold up to forty pounds! That is impressive! I have loved using the Clever Container Clever Shopper for the past few weeks with my shopping. I will admit, I was that person who had an enormous bag of plastic bags in my pantry – knowing if I threw them away they would end up in a local landfill with the millions of others. Clever Container offers products for every room in your home, office – even your car! Whether you need to tackle the pantry, organize the refrigerator, straighten up your cosmetics, make things easier to find at the office – Clever Container has the products for you! You can earn free and discounted products for hosting a party in-home or online or if you are one of us crazy ones who just love organizing stuff and helping others to do the same, consider joining Julie’s team and building a business with these awesome products! Check out Julie’s website to learn more about how you can get involved with Clever Container!